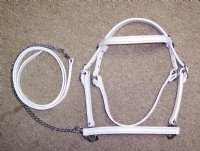 White leather halter with 50" white leather lead and 20" chain. Comes standard with chrome hardware. 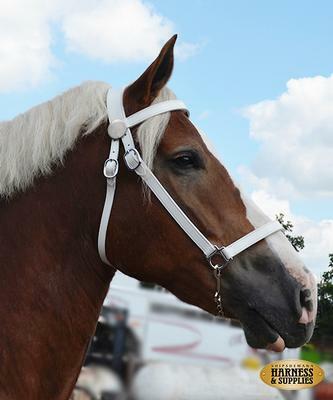 Leather Show Halter without brow band, throat latch, or lead.